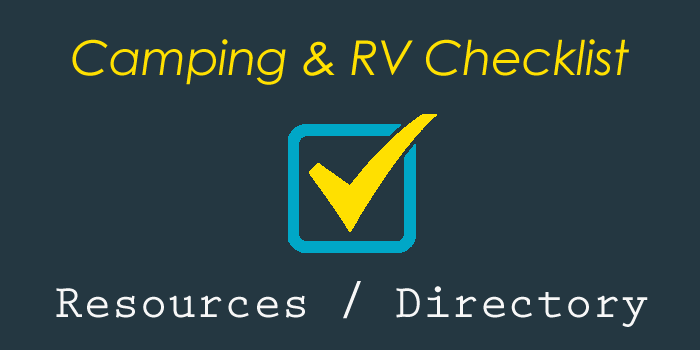 We know the pain of setting up all the outdoor living stuff when RV'ing. 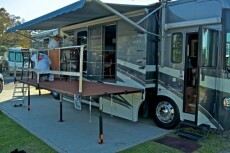 Thats why we think this is a must see idea for a custom RV patio or RV deck. 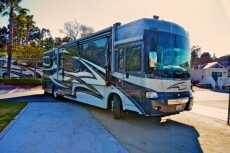 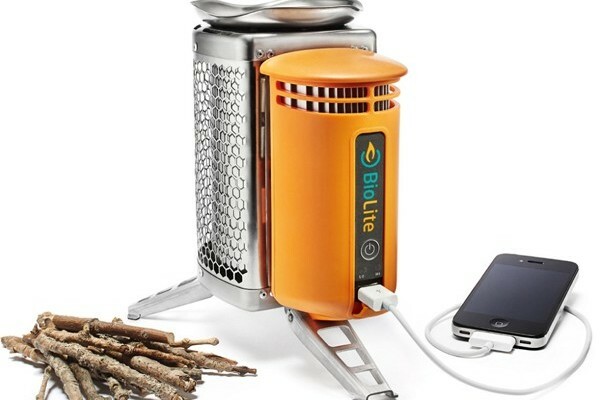 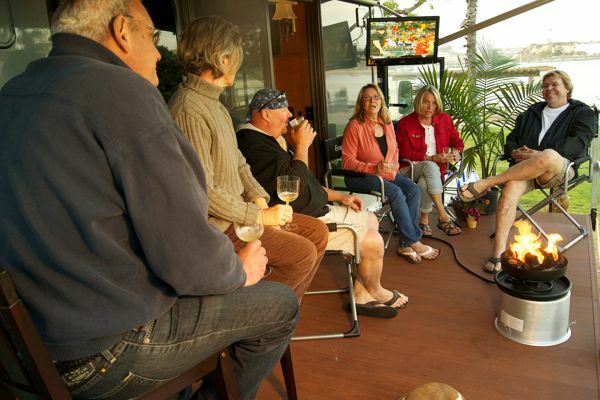 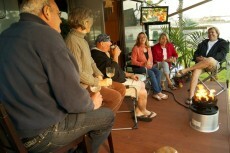 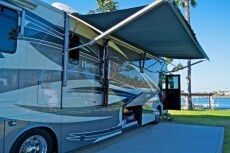 Outdoor living is perhaps one of the single biggest draws to folks who own and travel in their RV’s. 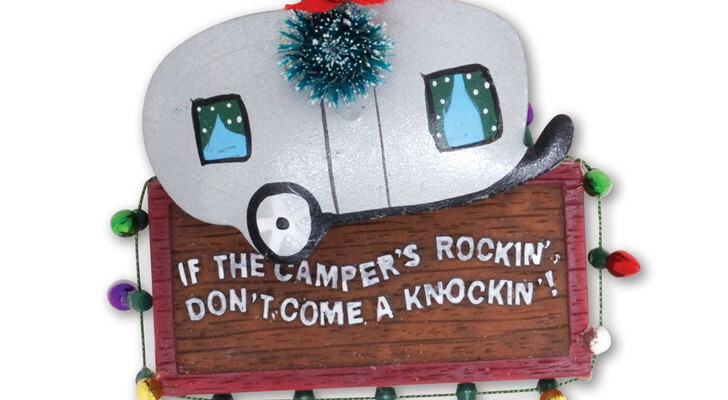 However, we know the pain that comes with setting up all the outdoor trinkets. The chairs, tables, grill, dog pen, campfire in can, dog run, rugs, and various kid’s play-things. 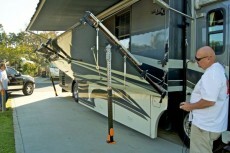 This can be absolutely daunting. 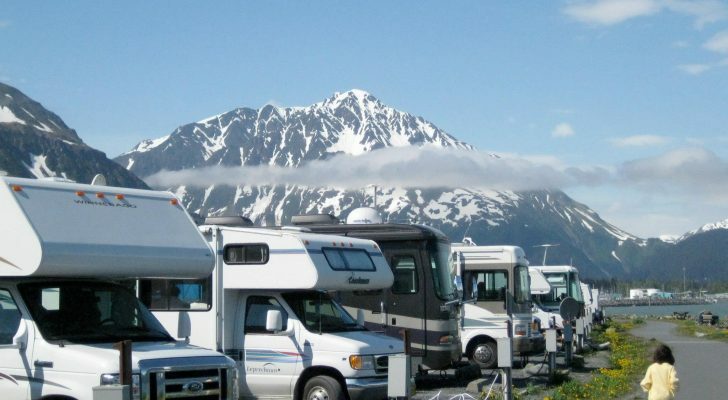 Creating a safe area that is free from mud, dust, bugs, and other undesirables is a monumental task at most RV parks. 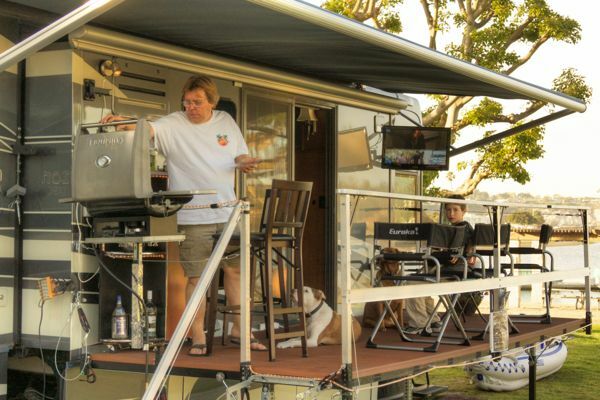 A fully portable and fold-able RV deck or RV patio is the simple solution to many of these issues yet no such thing exists to retrofit to a RV. 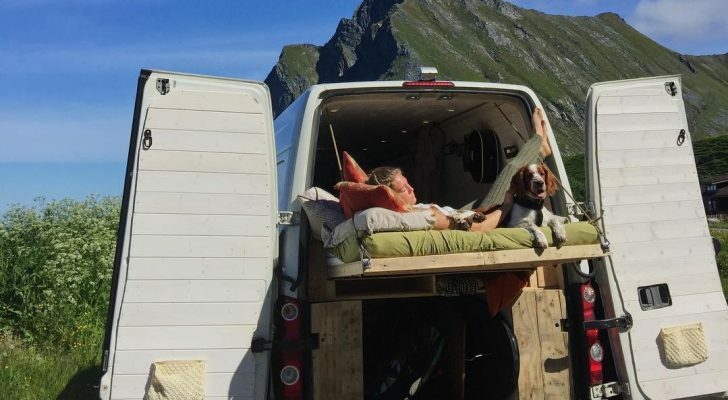 It turns out that a portable fold down RV deck DOES exist. 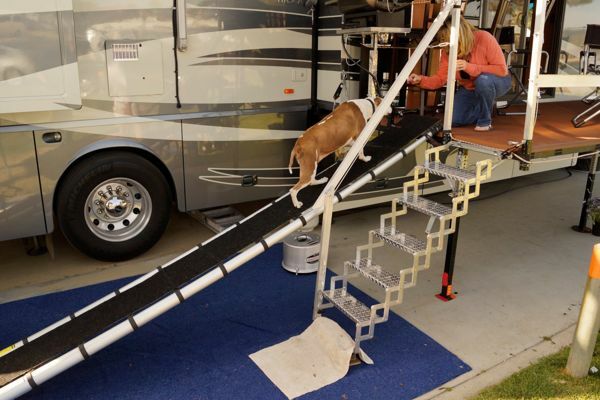 As a follow up to our article on Portable Fold Down RV Decks this design from AddaDeckToMyRV.com has one huge differentiator, it would seem it actually is possible to get one. This design is much more interesting as there are a slew of options in this real life version that make this an incredible addition to any RV. 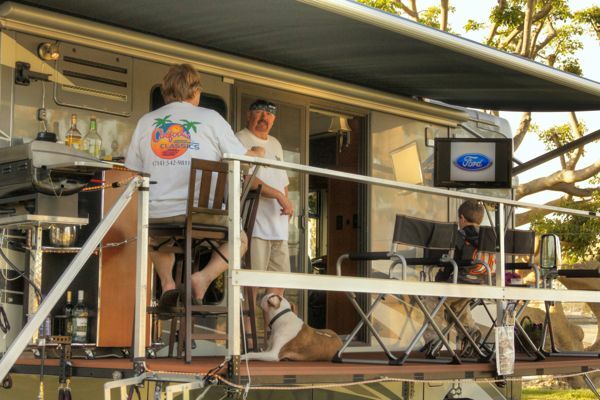 The idea for this RV deck / RV Patio came in 2006 after the purchase of a new 40 foot Horizon motorhome and felt that there was still not enough room. The RV deck has been under development for the past several years and after getting a great response from other RV’ers, the designer decided to begin to market and fabricate them from his Santa Ana, CA based auto body shop. The second part of this RV mod is that it requires making an opening on the RV (sliding glass door in this case) to access the RV deck from the inside of the motorhome. 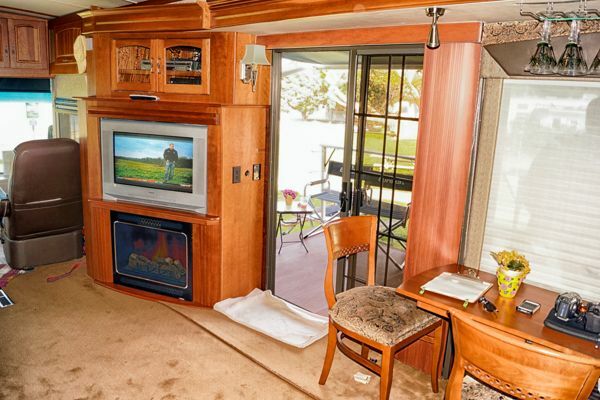 On the Horizon motorhome the sliding glass door was installed and cut from the area that a window once appeared. 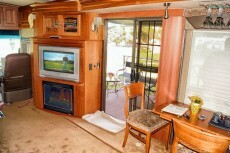 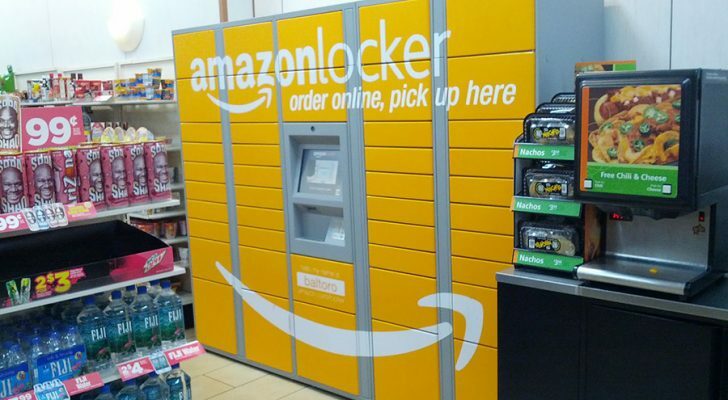 As you can see from the photos this is a well thought out design that really focuses on functionality. 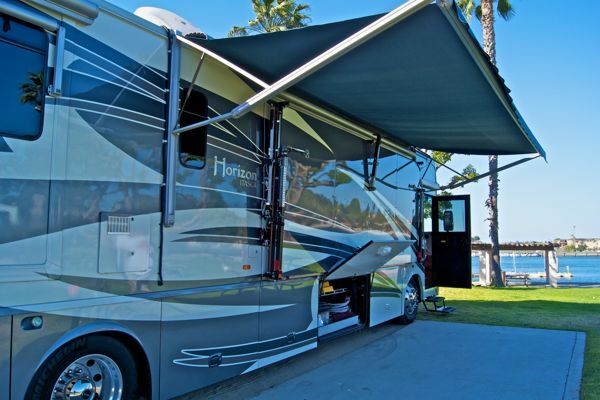 There are fold down steps, railings, flooring and even the underside has fiberglass so it can be painted and matched to color scheme of your RV. 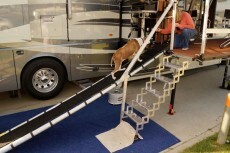 There is a doggie ramp and the RV deck itself is built to support the weight of a half dozen or more occupants. 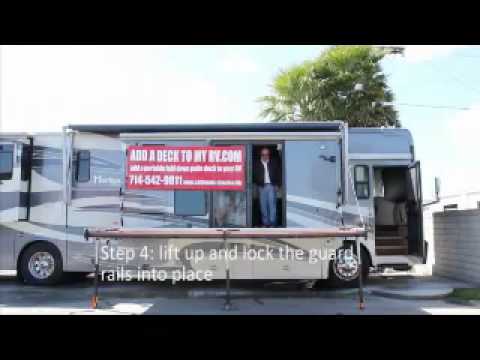 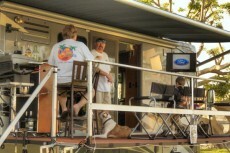 Have a look at the video of the RV Deck /RV patio in use below. 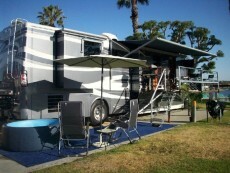 This unique custom RV deck/ RV patio idea has been featured on the Travel Channel. 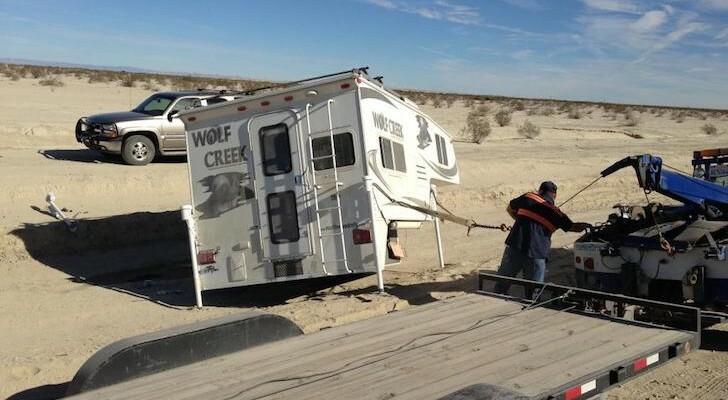 You can see the video below. 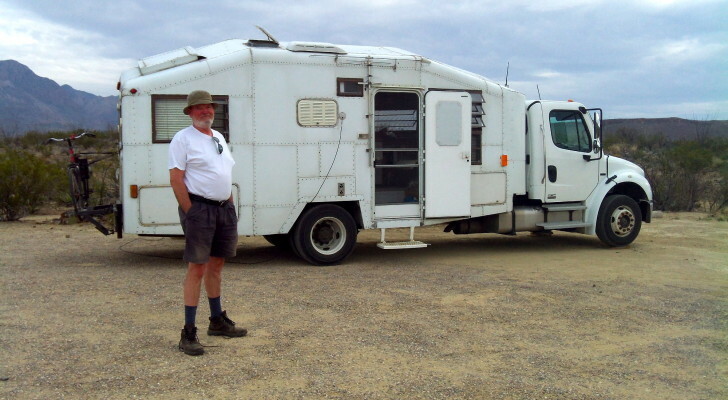 (Update 6/7/2013) We were contacted by John Barma from California Classics and he confirmed his contact information and is willing to talk with anyone interested or with questions using the contact information below.